Several months after its intended opening and a good seven or eight months behind the rest of the country, State of Siege has arrived. If the event is somewhat anticlimactic, it was scarcely expected to be otherwise. Costa-Gavras’s previous picture, The Confession, while exemplarily evenhanded in terms of the director’s career (leftist totalitarianism getting slammed as hard as rightist totalitarianism was in Z), was a tedious experience, and even the stellar-cast Z, emotionally and physically stirring while one sat before it, has tended to grow minor in retrospect. On the consumer-report level it must be noted that State of Siege affords a better time than The Confession without quite coming up to Z for sheer excitement—although in its limited way the new film essays a more complex problem, politically and aesthetically, than either of its predecessors. Based, like them, on a true series of events, the kidnapping and assassination of American policeman Daniel Mitrione in a South American police state, the film seeks to depict the political alignments of the society in which the crime takes place, the sometimes convoluted strategies of the various factions, and the ultimate ineffectuality of the terrorism on both sides. That any complexity will be admitted by the filmmakers is not immediately apparent: the Tupamaros who kidnap Mitrione (here called Santore) are young, unspectacularly photogenic, intelligent and dedicated, while their advocates—journalist O.E. Hasse and parliamentarian André Falcon—are urbane, witty, and unflappable; their rightwing counterparts are apoplectic, shifty-eyed, shrill, self-interested. 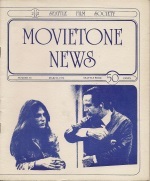 Costa-Gavras has straightforwardly defended this bias by suggesting that the Left has a, er, right to its own “John Wayne–type entertainments.” And certainly one needn’t be a rabid rad to turn on to the film; the less-than-radical viewer will—if not be radicalized—at least pick up some salutary political education, as in a voiceover montage where one government minister after another climbs out of a series of interchangeable limousines and, on his way to a top-level conference, is identified as director of this or that or those corporations, many of them American companies, some of them virtual political and economic dynasties—and these men are the government of Uruguay. Costa-Gavras and his writer, Franco Solinas (The Battle of Algiers), pull some subtle switches with regard to Santore. Played by the immensely charismatic Yves Montand (formerly Z and the protagonist of The Confession), he is interviewed by his captors as a means of demonstrating to him—and to us—his culpability in establishing torture and murder squads for the governments of San Domingo, Brazil, and Uruguay. Once shown to be guilty, he will qualify to be offered to the government in exchange for the release of some leftwing political prisoners. In the early stages of interrogation Santore is articulate and apparently scrupulous in his arguments, maintaining forensic stride with his interviewers and compelling a degree of respect and sympathy (he is, after all, a family man abducted almost at his own doorstep). Once the audience learns the nature and extent of his involvement, such responses are no longer possible, and one looks for the man himself to awaken to some awareness of his guilt, manifest some sense of shame: the narrative form seems to call out for that. But no, instead Santore falls back on the vast reflexive verbal terrorism of the most simpleminded contributor to a letters-to-the-editor column in one’s local paper. The switch is followed in turn by the most reasoned and definitive coming-to-terms with his political fate: the government is not really in a position to be buffaloed and his captors will be forced to make good their threat to kill him. Although Montand’s face speaks reams about his personal bitterness at having become a mere pawn in a demonic chess game, he never does acknowledge shame and remorse for what he has done. He grimly accepts that he will become a sacrificial offering on the altar of history, that his sacrifice is scarcely more desirable to his captors than complete abandonment of their project would be, and that he, in their place, would carry out the chain of events to its inevitable, unwilled conclusion. The film’s true theme is not the hideousness of fascist regimes and the United States’ connivance in perpetuating such regimes, but the ultimate impotence of every individual involved save the basest of thugs (if even them), the irrelevance of every human life as long as political systems survive. In this sense, State of Siege tells us something about political realities, but the film itself is such a closed system of coded signals that it cannot truly illuminate the mess we are trapped in. (The leftist filmmakers cannot bring themselves to show Santore’s murder, but they do allow themselves the visual/visceral charge of showing fascist torture and fascist murders.) The film concludes with a closeup of the eyes of an airport worker as he witnesses the arrival of Santore’s successor from the American Police Academy. The stylistic gesture, which recurs throughout the movie, serves to identify this watcher as a Tupamaro agent, but its meaning is limited to melodramatic frisson. On the other hand, Francesco Rosi’s The Mattei Affair, a movie just as unilaterally disposed in its political sympathies, might appropriately have ended with such a shot; for in that film Rosi devised a structure that enabled us to confront not only new and disturbing information about our role in the international community, but also the very processes by which we analyze—or find it impossible to analyze—the dilemma of every intelligent and wishfully moral individual in the modern world. Direction: Costa-Gavras. Screenplay: Franco Solinas, Costa-Gavras. Cinematography: Pierre-William Glenn. Editing: Françoise Bonnot. Music: Mikis Theodorakis. Production: Jacques Perrin. The Players: Yves Montand, Renato Salvatori, O.E. Hasse, Jean-Luc Bideau, Maurice Teynac, André Falcon.